3 40mm Table Tennis Balls. Ideal starter set for recreational and budding club players. 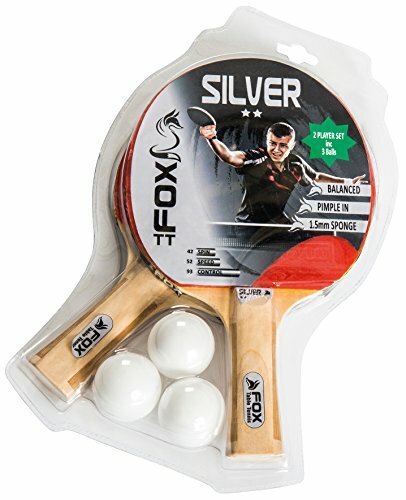 Contains two Fox Silver table tennis bats with 5mm blade, flared handle, 1.5mm sponge and pimple-in rubber, and three 40mm table tennis balls. Spin: 42. Speed: 52. Control: 93.